Taking more-is-more design well and truly to the next level, the Sasperella stool mixes a super-sleek cantilevered base with tousled Mongolian sheepskin. This clever, overstated piece – which works perfectly in a pair – has been artfully designed and crafted by British talents as a LuxDeco exclusive, flaunting a look-at-me attitude whilst multitasking as an elegant bench, occasional seating for extra guests or the most sumptuous footstool. The brief for the design was punchy, playful and luxurious – an aesthetic LuxDeco’s Head Furniture Designer Sam Aylott translates via its ultra-textured upholstery and golden base. 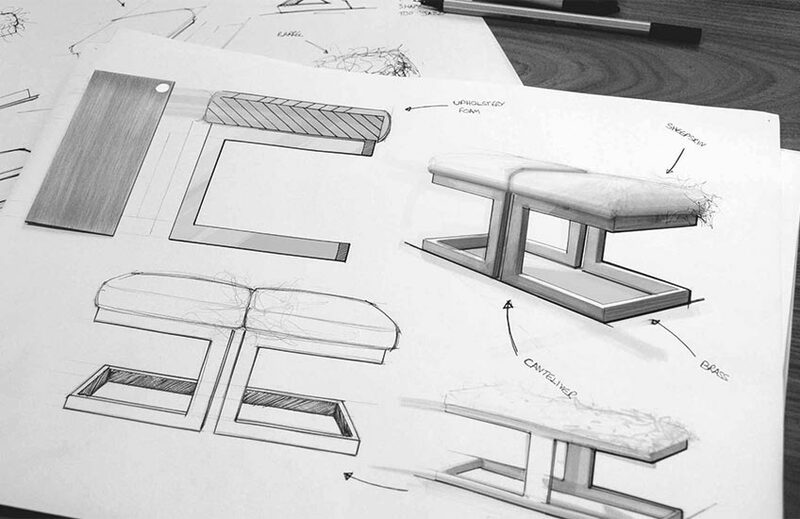 Here the designer discusses the inspiration and craftsmanship behind the standout design. What was the inspiration behind the Sasperella stool? Hollywood Glamour was, without doubt, the main influence. I looked to the iconic, extrovert characters from Hollywood’s golden age to develop such a statement piece. 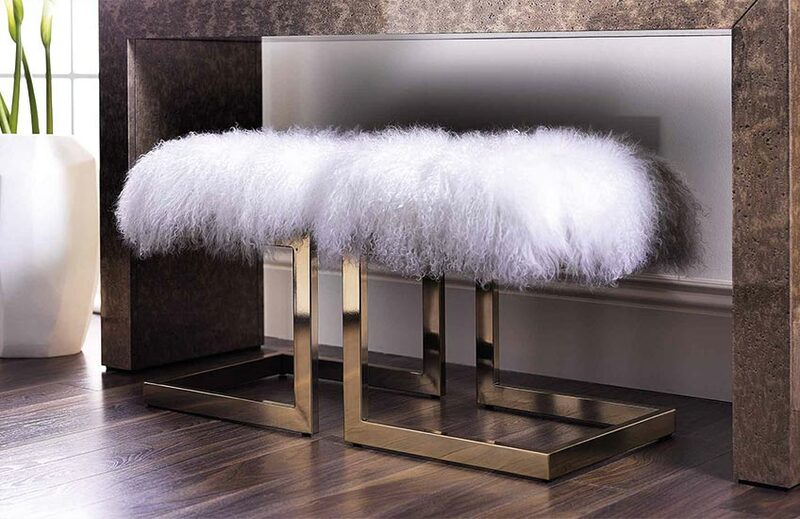 Art Deco motifs – seen in the stool’s geometric base – also played a part in the inspiration process, as did the notion of luxury which drew me to use a golden brass finish and tactile natural fur. What qualities did you look for when it came to selecting the materials? I wanted to experiment with fine-quality materials that contrasted yet complemented one another. Gold goes hand in hand with luxury so a metallic base was a natural choice and I knew the upholstery had to stand out. After lots of research, I found myself constantly coming back to Mongolian sheepskin. The natural material has an effortlessly cool, tousled quality while its white hue is simple and timeless, and lets its incredible texture take centre stage. Do you have any tips on caring for the Mongolian sheepskin? Sheepskin is actually very easy to care for and for the best part of a few years you’re probably not going to have to do anything. I would avoid keeping it in direct sunlight (like all furniture), as this can give the punchy white fur a yellow tinge. I’d also recommend gently brushing the fur to pull out any tangling and using a damp cloth to draw out any stains, then leave to dry naturally. Wool cleaning products are available but make sure they’re leather-friendly otherwise they could lead to it perishing. Can you talk us through the crafting process for the design? The crafting process is executed to an impeccable standard and starts with the stainless steel frame being cut, welded and treated with a brass finish. The wooden seat base is then cut and given a high-quality foam top on which the sheepskin is wrapped around and neatly secured in place. 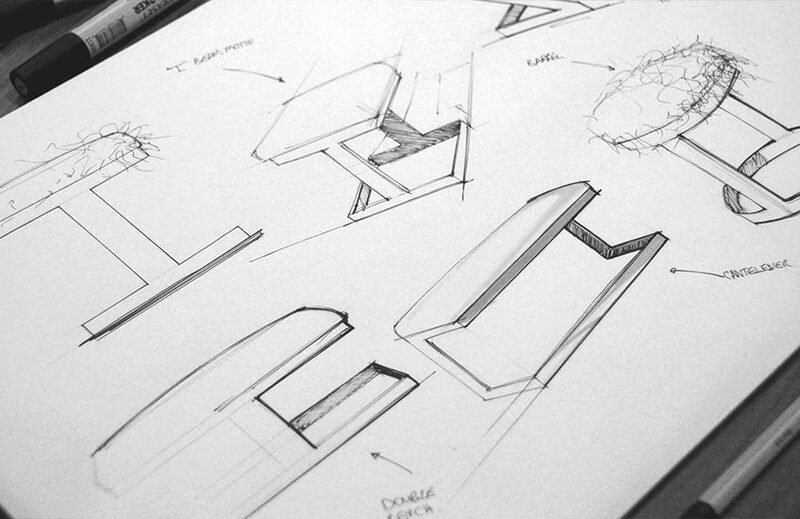 Did any challenges arise which meant that the design had to veer from your original sketch? It was important to keep the outcome looking like the initial sketch – as a statement piece, looks were the priority. Initially, the intention was to use solid brass or a brass section for the base, however it would have compromised the cantilevered design as brass is a relatively weak metal. This approach would have meant introducing supports, which would ruin the sleek vision, so we partnered with our workshop to create a brass finish for a stainless steel frame that provides far superior levels of strength. The piece contrasts a sleek metal base with a super-textured seat. Why did a bold use of contrast appeal to you? For me, the Sasperella is confident and eclectic – it’s not about everything matching like a three-piece suite. The design is beyond a piece of furniture simply designed to fill a space; it has something special. A metal base and fur combination plays on the distinction between man-made engineering and natural products, and the minimal frame emphasises the tactile qualities of the fur. I think it’s these types of interactions that take furniture to the next level. What kind of space did you envisage the piece in when designing it? I envisaged the stool in a bold, luxurious space and I can imagine interiors designers such as Kelly Wearstler using it in Maximalist settings. It’s very versatile though and can alter from a dressing table stool to a footstool in a living room. The cantilevered silhouette also really shines when you position a pair of Sasperella stools back-to-back. What was the most satisfying part of the creation process? It’s brilliant to see how all the little detailed considerations during the design process have an affect on the outcome. This can range from the thickness of the metal section to the amount of upholstery foam used to make the piece sleek yet comfortable, but perfecting the cantilevered base had to be the high point. The design is without doubt a statement piece, but does it deliver comfort? Aesthetics are key to the design, but a foam interior and the light sheepskin offer an ultra-soft touch and a padded foundation.